Fort Point Place Located at 21 Wormwood street is a 126 Unit Loft Condominium Loft development in Boston's Seaport District. This emerging neighborhood is conveniently located close to South Station, The Financial District and the Waterfront and The district was added to the National Register of Historic Places in 2004. The Lofts at Fort Point Place were converted in 2000 into and feature original elements such as Exposed brick, wooden beams, over sized windows and soaring ceilings! 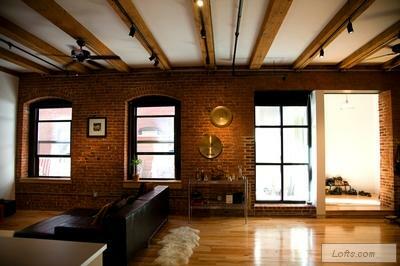 The layouts vary but most are open concept that make these some of the best Boston Lofts in the entire city! The Building also has a Heated Garage & Direct elevator access as well as convenient store on site. Fort Point Place at 21 Wormwood street is a highly desirable building and a great addition to Boston Lofts in the Seaport District!